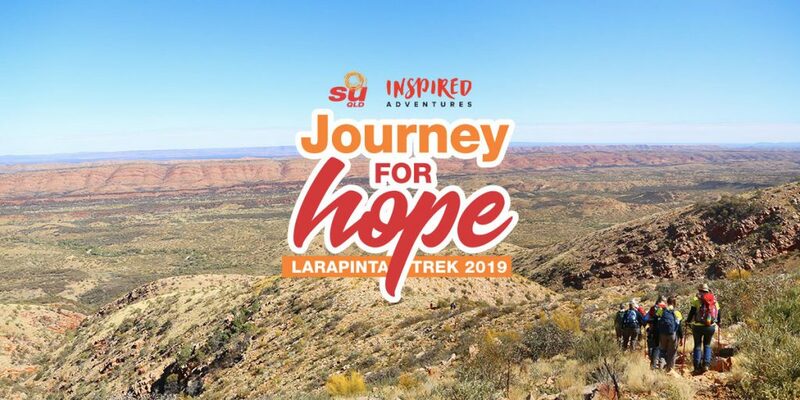 The Larapinta Trail is regarded as one of Australia’s premier walking tracks. From the old Alice Springs Telegraph Station to the peak of Mount Sonder, the trail stretches 223km along the backbone of the West MacDonnell Ranges. On this incredible yet challenging adventure, you will trek over 60km along the trail’s most scenic sections. You will stand on ancient escarpments and gaze out upon the ochre-coloured landscapes of Central Australia. You will follow Aboriginal Dreaming tracks and trek beside one of the world’s oldest river systems. By day, you will challenge yourself as you trek across the Red Centre, experiencing the diversity of desert habitats and visit sights sacred to the Arrernte people. At night, you will fall asleep to the sounds of native wildlife under a blanket of stars. Best of all, you will raise vital funds for SU QLD to bring hope to children and young people.